The Harahan Bridge is a cantilevered truss bridge carrying two rail lines across the Mississippi River between West Memphis, Arkansas and Memphis, Tennessee. 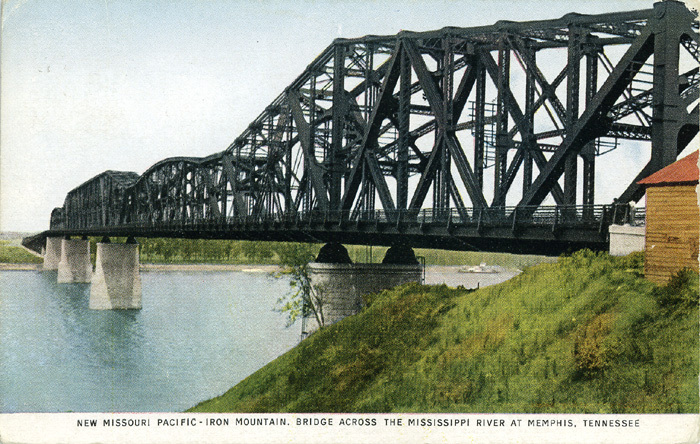 Originally called the Rock Island Bridge, it was renamed after Memphis businessman J.T. Harahan, President of the firm that built the bridge, who had been killed in a 1912 train wreck. The bridge opened in 1916, but it wasn't until wooden planks were added in 1917 that cars were allowed to cross, single file, across the Mississippi on the steel structure. 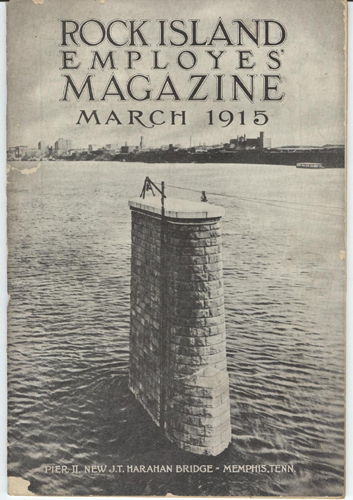 The bridge carried motor vehicles from 1917-1949, when the Memphis & Arkansas Bridge opened. The bridge remained a single-lane highway until 1949, when the Memphis/Arkansas Bridge was completed. The Harahan Bridge actually burned on Sept 17, 1928 and was a major problem for the the Memphis Fire Department. It was a memorable and economically devastating fire. The fire started in the wood flooring of the bridge, probably as a result of a passing locomotive. The alarm which alerted the fire department was delayed, and by the time fire fighters arrived, the fire was blazing out of control. Because of the length of the bridge, fire fighters had difficulties in laying enough lengths of hose from the Memphis side of the bridge to reach the blaze. Eventually, six fire companies worked together to fight the fire, and it was finally extinguished after several hours of grueling work. At the time, the Harahan Bridge was the only vehicular bridge that crossed the Mississippi River south of St. Louis. Both rail and vehicle traffic were severely impaired by the fire, so a temporary ferry service for automobiles was established, resulting in long lines of cars and trucks waiting to cross the Mississippi, and rail traffic had to be rerouted over hundreds of miles. 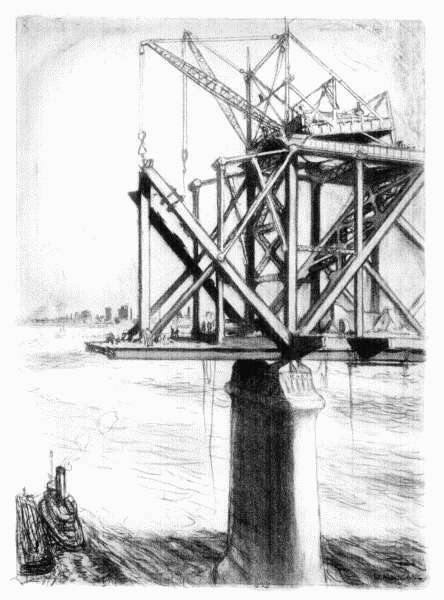 The consulting engineer in charge was Ralph Modjeski who had quite a resume in bridge building - maybe that's why it still stands today... Ralph Modjeski. The bridge is currently owned by Union Pacific Railroad.